Here at CEFA we have recently written a couple of articles explaining the restrictions on government spending. First, we answered a question that a CEFA supporter asked about section 81 of the Constitution and then once the budget was handed down we wrote about the processes for Appropriations Bills. There was a lot of theory and past examples covered in those articles. This week we have a practical example to write about. The proposed Adani coal mine in the Galilee Basin in Queensland is a great Federalism topic, where we can explore how the relationship between the State and Federal Governments is important for a project like this to receive Government funding. We know that this mine is very divisive, within politics and the community. On one side, there are jobs that could be created by building this mine, which may have flow on effect on the economy in Northern Queensland. On the other side this mine is seen as an existential threat to the Great Artesian Basin, the Great Barrier Reef and the global climate. As such it has become a great moral battle in Australia. We're going to stay out of the ideology and stick to what the Constitution says about government funding for a project like this. The NAIF offers up to $5 billion over 5 years in concessional finance to encourage and complement private sector investment in infrastructure that benefits Northern Australia. This may include developments in airports, communications, energy, ports, rail and water. (c) as agreed between the Facility and the States and Territories, to provide incidental assistance to the States and Territories in relation to financial arrangements and agreements related to the terms and conditions of the grants of financial assistance. • The Facility must act in accordance with directions given by the Minister. The directions are known as the Investment Mandate. • The Minister has the opportunity to consider proposals to provide financial assistance for Northern Australia economic infrastructure, and may decide that particular financial assistance should not be provided. As you can see in the outline, this Act establishes a facility to provide grants to the States and Territories. On top of the legislation, there is a legislative instrument (you might know this as a regulation) called the Northern Australia Infrastructure Facility Investment Mandate Direction 2016. This regulation outlines the risks that need to be taken into account before an investment can be made, as well as alternative financing mechanisms. It also states that an investment decision cannot be made if the State that the project is in ‘provides written notification that financial assistance should not be provided’. According to this section of the Constitution funding is provided to the State on the terms and conditions that are set by the Parliament. The NAIF Act provides the terms and conditions for the funding. The Queensland Government made a pledge at the last election that they would not be providing government funding to the Adani mine and in the last week have stated that they will not act as the middle man for funding from the NAIF. They have however announced that they will not stand in the way of project funding flowing directly from the Federal Government to Adani. Could the Federal Government directly fund Adani? Since the Williams decisions by the High Court in 2012 and 2014 federal government spending has become more restricted. Better known as the chaplaincy case, the Court found that the Federal Government did not have the power to directly fund the chaplains in schools. Direct funding by the Commonwealth Government needs to be supported by the powers outlined in the Constitution. To overcome this problem the Federal Government used the power of section 96 and the States acted as the middleman to fund the chaplains (this actually gave the States more power over the program). So, in order for the Federal Government to provide a loan facility or funding directly to Adani they will have to find another section of the Constitution that provides that power. They might be able to find one. The $900 million dollar loan is to build a railway between the Adani mine in the Galilee Basin and the Abbot Point Coal Terminal. The need for a nationwide uniform gauge railway line was one of the motivations for Federation. It was envisaged by the people who wrote our Constitution that there would be Federal railways running all over Australia. As such there are three subsections within section 51 of the Constitution that provide the Federal Parliament with the power to control railways for military purposes, to acquire railways (with the consent of the state) and to construct railways, also with the consent of the state. 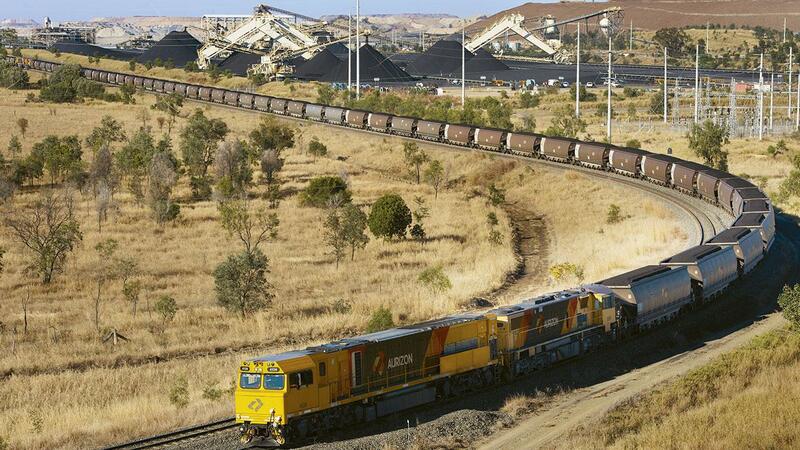 This means that the Federal Parliament could have the power to make laws to build a railway in Queensland, but it would require the State Government to consent. If this Parliamentary Power was used as a basis for funding the Adani Railway, the State Government would have to consent. Also, this is a Parliamentary power and new legislation may have to pass the through both Houses of the Federal Parliament for direct funding of the project.